Very high muggle area! You are looking for a nano - the hint is very specific. Burnham Market is one of the Burnhams, a group of adjacent villages in North Norfolk. It is the result of the merger of three of the original Burnham villages, namely Burnham Sutton, Burnham Ulph and Burnham Westgate. Burnham Market is close to the mouth of the River Burn and the name Burnham probably derives from this. However another theory is that the town was a centre for the amber trade. 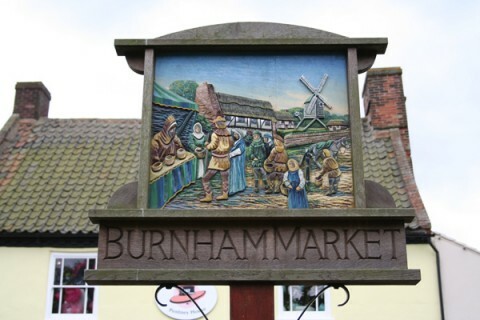 As the name implies, historically Burnham had a market and was therefore considered a town, however that market was discontinued several years before 1854.